Did you know that today marks the start of National Recycling Week? In NYC we have to recycle so I grew up always having to sort garbage. At two and a half my daughter also knows the importance of recycling. I explained to her that by recycling we are helping to reuse garbage in different ways. She knows where to throw her paper, plastic and regular garbage at. She actually has fun running to kitchen to throw things away. I wanted to teach her that garbage doesn't have to be thrown away and that it could be given a second life. To get her excited about using garbage for other uses we watched Anneroids together. 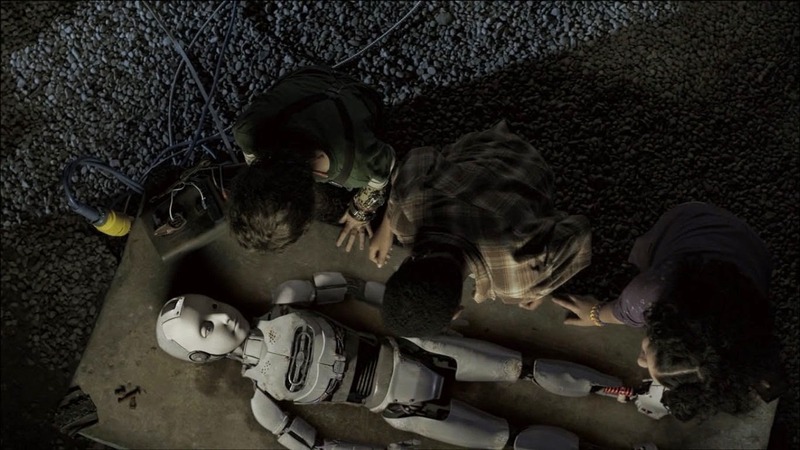 Annedroids is an adventure series that focuses on science. 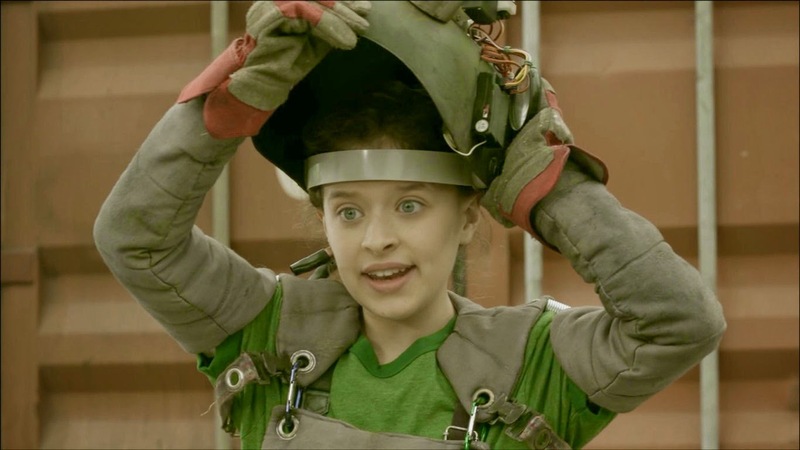 A cool little eleven year old prodigy, Anne invents and builds some amazing androids with the help of her two sidekicks, Nick and Shania from things in her junk yard. 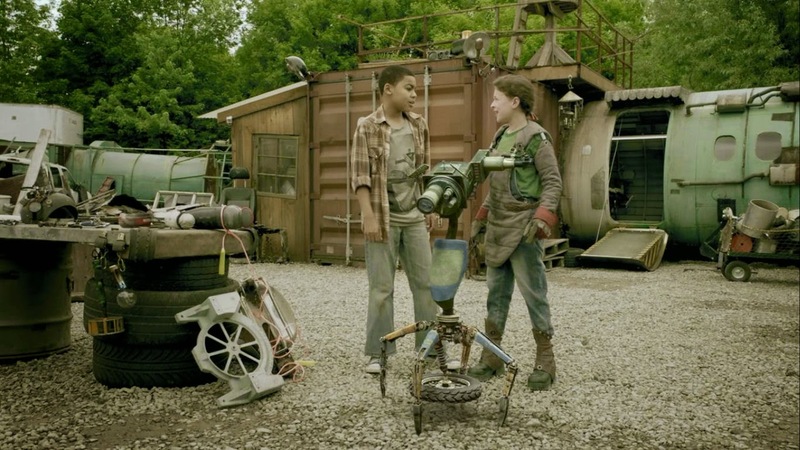 Not only does the show teach science in a way that a kid could understand but it also shows how you can reuse "junk" or garbage and eliminate waste. After watching the show again with my daughter I explained that we would be giving new life to the toilet paper and paper towel tubes like Anne gave new life to the junk she had. We set out to give new life to the paper tubes by turning them into art. First I took the paper towel tubes and cut them into 1/2" slices. I pinched two sides to create petal shapes. Then I took a piece of white paper and drew a design with petal shapes. I squirted some glue in an old cheese tub top and got some paint and brushes out. I showed my daughter how to dip the petals in the glue and paste them on to the paper. Then we took the paints out and I tried to steer her into coloring the ground with brown, the leaves and stem with green and the petals with pink and purple. Then I told her to color the background with blue. Though she painted the design how she wanted we still came out with a beautiful piece of art. She loves painting so it was cool to see her painting on a different raised texture of the paper tube. 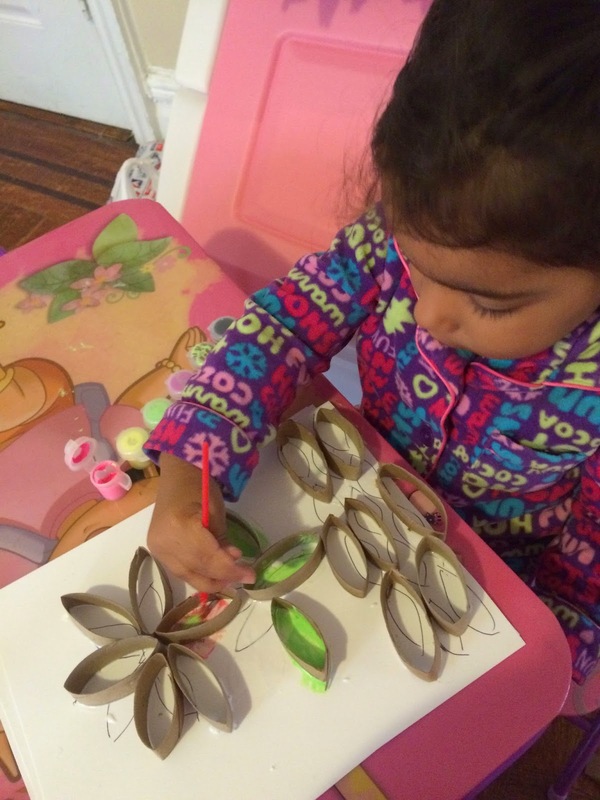 We created a flower design but you can do so many different things with the paper tube slices. 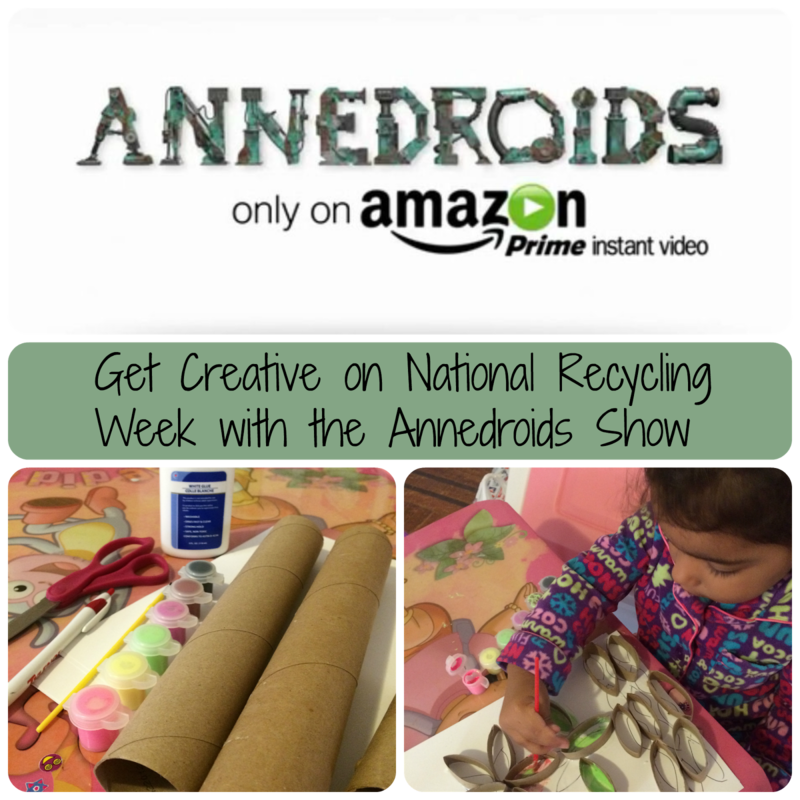 You can celebrate recycling week and get some great ideas by watching Annedroids on Amazon Prime Instant Videos. Have you ever watched Annedroids before? How do you teach your kids the importance of recycling? Our whole city needs to pick up on their recycling. Living in a small town and having to pay extra really doesn't help motivate people. Very cool way to get her involved in recycling.. That was a very fun DIY project! What a neat craft! I have heard good things about this show! We haven't watched Annedroids yet, but I'll definitely be showing it to my kids. I had no idea it was national recycling week! We do every day and it definitely makes me happy I can do a little part to make the Earth a little be better:) Love these little crafts you all did together! That is so neat and creative! I'm going to have to save our next empty paper towel roll for some art projects with the kids. I haven't seen Annedroid. That looks neat as well! That's a new one the Annedroid. I"m sure I'll see it soon. Weird that I haven't seen it ad though. We have never watched it before. But I try to teach her the importance of recycling whenever we can. I have Amazon Prime. However, I have never watched this. I will definitely be sure to check it out. Love the cute project you made! Sounds like a fun show! 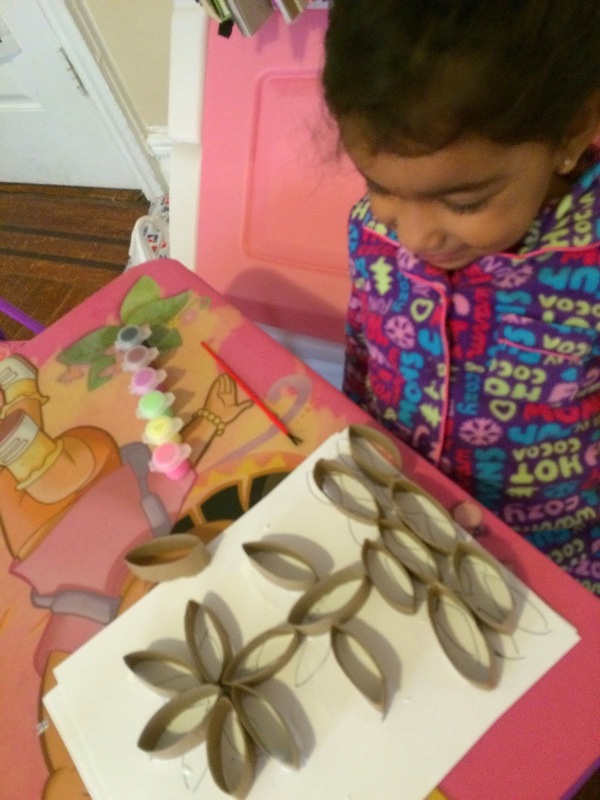 I love the flower craft from the cardboard tubes! Such a great use and something everyone has on hand. I'm loving this project! Sounds like something my girls would LOVE! I love this Amazon show! Such a great show for kids (especially girls!) and this project is a great match. What a fun craft to celebrate recycling week! What a cute craft. I didn't even know that it was national recycling week now I need to go an round up some stuff and do some recycling. Very creative craft and a great way to teach kids about recycling. Thanks for sharing! Love this craft idea...My little lady would be all over it. And a great message about recycling too! We love this show! 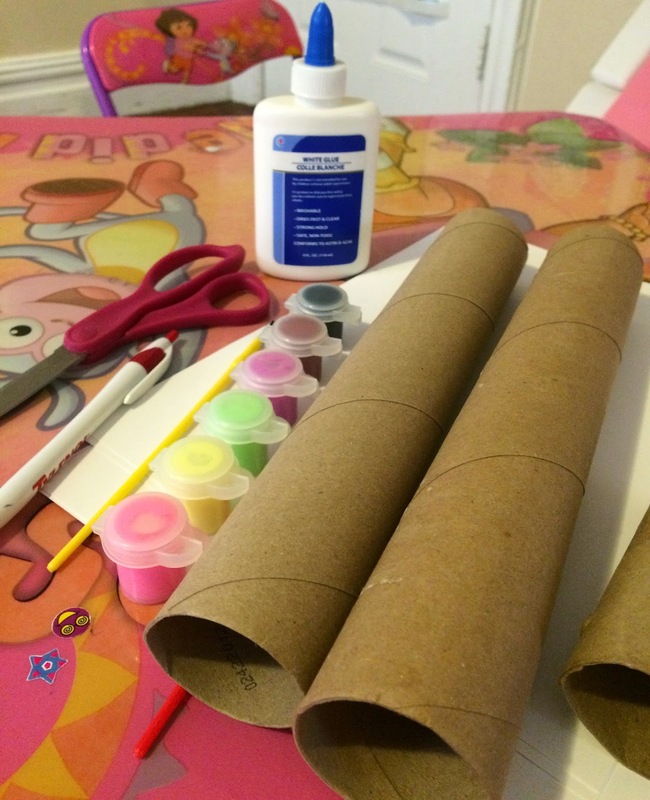 And what a great craft to use up paper towel and toilet paper tubes. Definitely trying this with my preschooler! Such a cute way to make flowers! Awesome idea! I've never heard of Annedroids but I know my son will love it so I'm off to check it out now.